First, we would like to thank everyone for supporting us, encouraging us and showing interest in this project. This beautiful film will not see the light of the day without you, but it will have all the chances to exist if you participate! Your support is important ! If we surpass our goal, this will ensure vast improvements on the future of this film ! Your participation will help us to pay the copyrights for images, historical archives and music. In addition, we will be able to fund a professional translation of the documentary in three languages : French, English and Spanish. With your help, we will be able to increase distribution of the film ! We will make more DVDs, we will also screen the film at various international festivals therefore ensuring greater exposure. 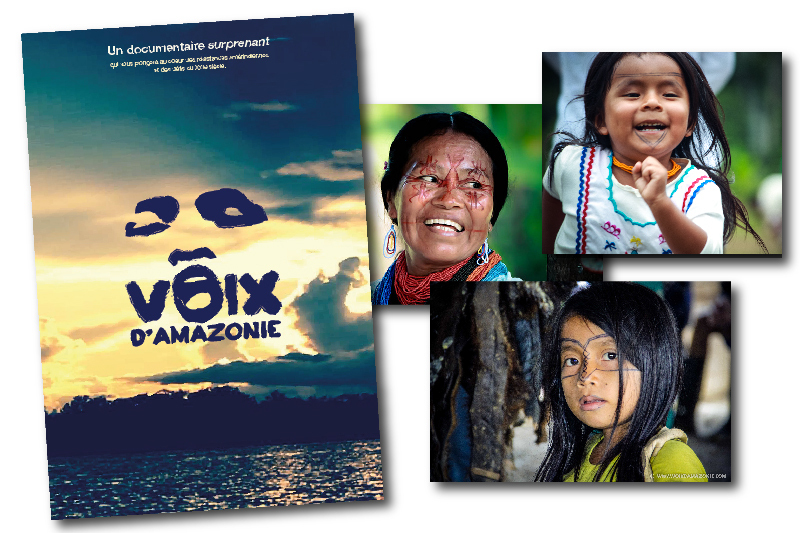 This documentary will take you to the heart of the Amazon and will emphasize a global conflict: the resistance is due to oil extraction and its consequences. The upcoming footage will reveal unique landscapes and native communities, defenders of human rights and associations. This will also inform you about their search for alternative solutions. Our team consists of an anthropologist, an artistic director and a sociologist. All who are passionate about Latin America and documentary film direction. As soon as we arrived in Ecuador in August 2012, Fabricio GUAMAN, an Indigenous rights activist, helped us get in touch with several communities in the Amazon. 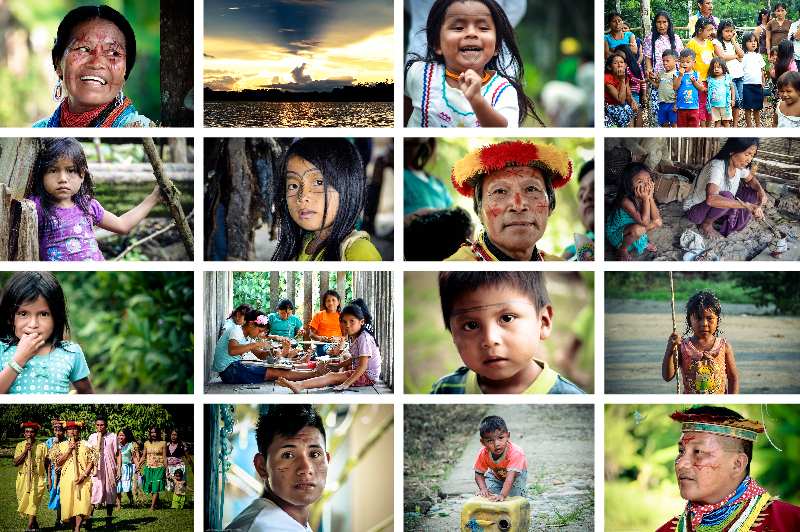 A few weeks later, we met the Secoya and Cofan communities and the Kichwa people of Sarayaku. We were warmly welcomed and we shared their daily life and learnt more about their resistances. 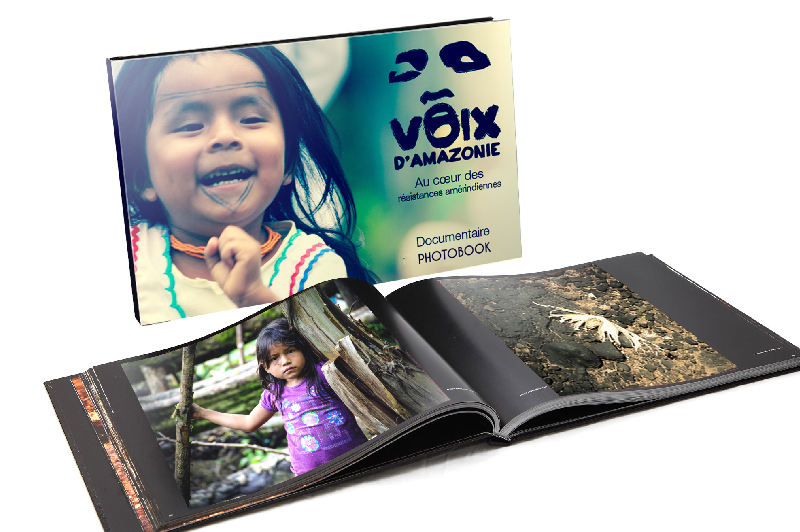 Since then, we post articles on this topic in three languages on our website www.voixdamazonie.com. Margerie, who lives in Ecuador, has been filming for the past few years about the big demonstrations and debates that have taken place in the country. We gradually gathered cameras and microphones of better quality. At the start of 2015, we went back to see the communities who were participating in the ongoing struggle. We now have a big story to tell you ! 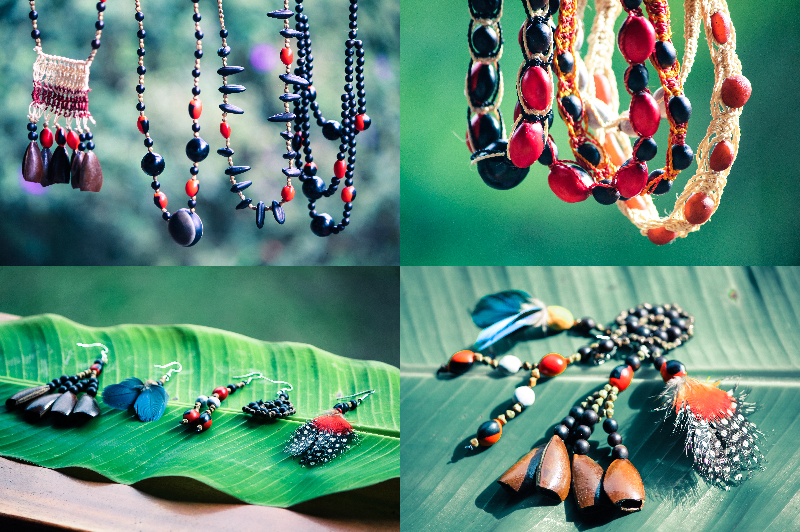 This project grows out of our eagerness to share what these people have to offer. What is happening in Ecuador is unique, and certain groups of the Amazon are filled with ideas to rethink the society and the quality of life. They shared with us innovative thinking regarding world energy issues. Original solutions to the current global obstacles are proposed and they notably call for a particular vision of education. Through life in community and a specific scholar system, their values and convictions are transmitted to the new generations. Education is one of the most efficient way of resisting. Their new ideas and their search for alternative solutions are what we want to share with you. Oil is the second biggest economic resource of Ecuador. Ecuador is the smallest member state of the OPEC. It has significantly invested its oil resources in social reforms. However, the indigenous communities living in exploited lands haven’t benefited much from it. On the contrary, the oil exploitation went hand in hand with a deep deterioration of their living space and a dramatic increase in the number of diseases. In the north of Ecuadorian Amazon, water is contaminated and not adapted to the human or animal consumption. 10 800 cases of cancer has been listed in the region in 2012, a number much higher than the rest of Ecuador. Several demonstrations regularly take place in the country, denouncing the damages caused by this activity. The first step drove us to the territories contaminated by the oil company Chevron Texaco. In 2011 the multinational was ordered to pay $9.5 billion for the damages caused in that region for the last 50 years. It is the largest fine (ever issued) in the history of international environmental law. We have met the Cofan and Secoya communities and they talked to us about the way they fight everyday to preserve their way of life, despite the impacts of oil extraction. The second step took us to the heart of the rainforest, in Sarayaku. 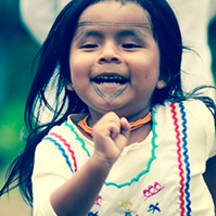 By its pacific resistance and the strength of its conviction, the Kichwa people of Sarayaku became emblematic. In 2012, this community won a historical lawsuit in the Interamerican Court of Human Rights in order to prevent oil exploitation on its ancestral land. After receiving financial compensation, Sarayaku has been quite diligent with the funds allocated within the community. 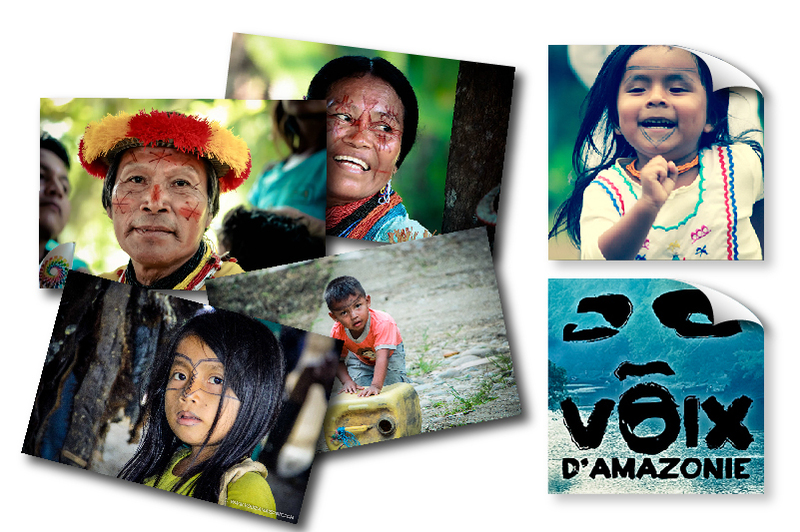 The film will highlight the current situation of the Yasuni National Park, known as a biodiversity hotspot. The number of mammal, reptiles and plant species is unique and people in voluntary isolation live there. The government of Ecuador has renounced exploiting the petroleum of the park (which represents 20% of its oil reserves.) in exchange for financial compensation by the international community. However, the initiative failed and in August 2013, Ecuador authorized the oil exploitation of the Yasuni National Park. Once the campaign is finished, we will make sure we will release the film to the largest audience possible. 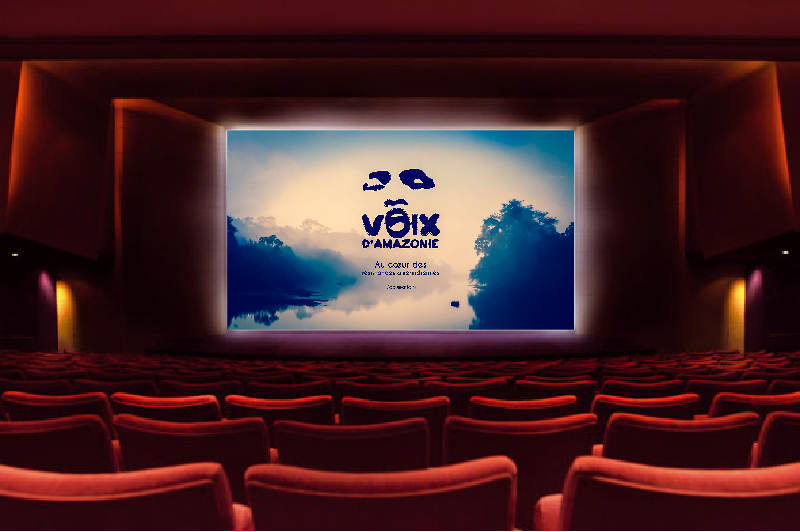 We will use the established network in this campaign to showcase the film in community screenings, independent cinemas, museums and international festivals. The documentary will also be available on DVD and on the Internet. Since 2012, we have collected stunning images of landscapes and unique interviews and we want to share them with you. After having fully funded the past 3 years of shooting, we now need YOU to be able to achieve the editing! 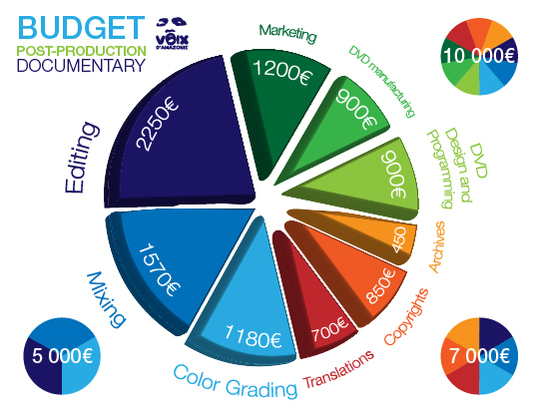 Your support will ensure the postproduction funding: editing, mixing, color grading! Thanks to your participation, this project will see the light of the day! 5€, 10€, it COUNTS ! Whatever your contribution is, it will be useful and also highly appreciated. In exchange, you will receive personalized gifts that will remind you of your great participation in this project ! 1- SHARE this message with your contacts, friends and family! The more people who watch our video and financially support us, the quicker we will be able to tell you this story. - You will have access to information on Amazon Voices´ media events. 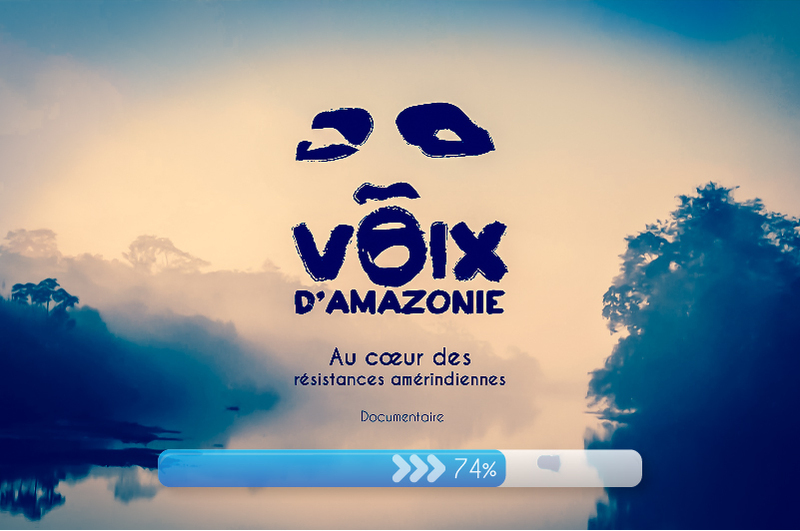 4- POST https://www.facebook.com/voixdamazonie on your Facebook page, website or blog. Any type of communication is welcome ! They are already on our side ! Making a film, and especially a documentary is not easy. After overcoming the obstacles of the filming stage, we are about to start the editing. Beyond the technical difficulties, the postproduction of a documentary is a particularly difficult and expensive process, in which diligence is essential. Even with great organization, we are never sheltered against complications. Nevertheless, we are sure we will be able to face these challenges and even more so if you support us ! 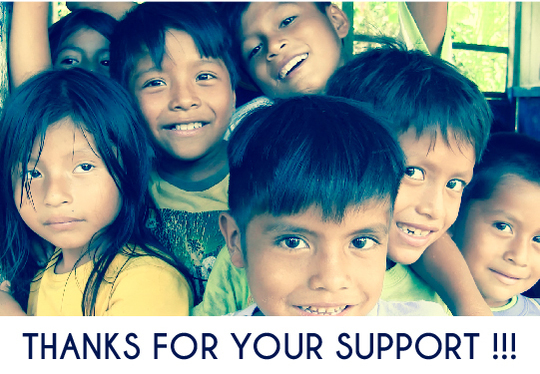 A big THANK YOU on our Facebook page and on our Website! 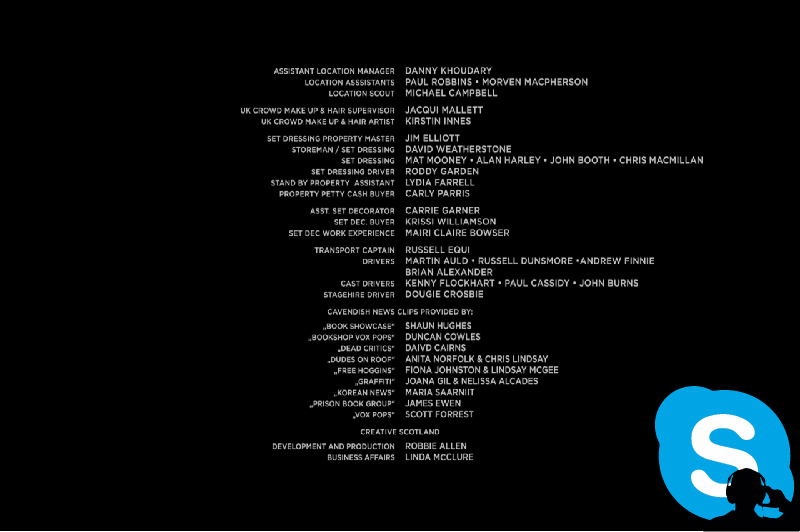 Your name on the film credits and 5 high definition photos with a personal thank you sent by email ! + A big THANK YOU on our Facebook page and on our Website! A downloadable version of the documentary + 5 HD photos with a personal thank you sent by email + Your name on the film credits + A big THANK YOU on the Facebook page and on our Website! A limited edition postcard + 2 Stickers with a personal thank you+ 5 HD photos with a personal thank you sent by email + Your name on the film credits + A big THANK YOU on the Facebook page and on our Website! The DVD version of the film in HD +A limited edition postcard + 2 Stickers with a personal thank you+ 5 HD photos with a personal thank you sent by email + Your name on the film credits + A big THANK YOU on the Facebook page and on our Website! A traditional A'i Kofan jewelry + 5 HD photos with a personal thank you sent by email +The DVD version of the film in HD + A limited edition postcard + 2 Stickers with a personal thank you+ 5 HD photos with a personal thank you sent by email + Your name on the film credits + A big THANK YOU on the Facebook page and on our Website! A personally signed poster of the film or a limited edition photo in large print (of your choice) (75x50) +The DVD version of the film in HD + A limited edition postcard + 2 Stickers with a personal thank you + 5 HD photos with a personal thank you sent by email + A big THANK YOU on the Facebook page and on our Website! An invitation to the pre-screening of the film (in Paris, Montreal, Quito, London or Casablanca)! 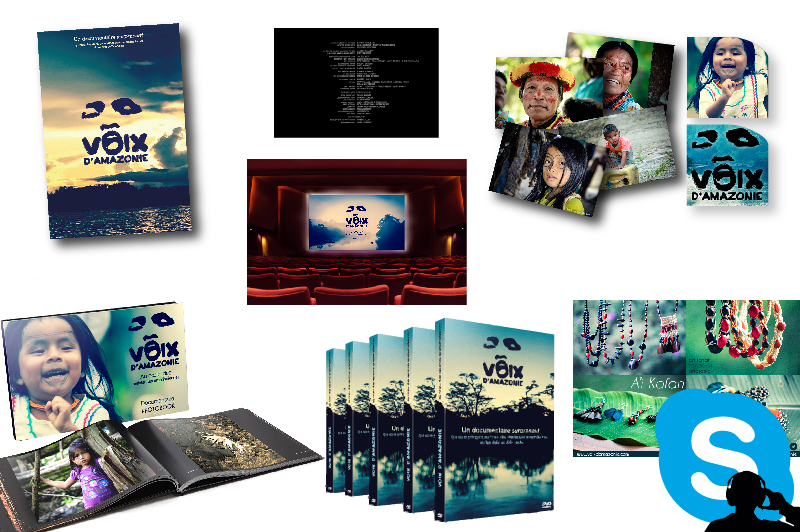 +The DVD version of the film in HD + A limited edition postcard + 2 Stickers with a personal thank you + 5 HD photos with a personal thank you sent by email + A big THANK YOU on the Facebook page and on our Website! A personally signed photo book + An invitation to the pre-screening of the film (in Paris, Montreal, Quito, London or Casablanca) ! 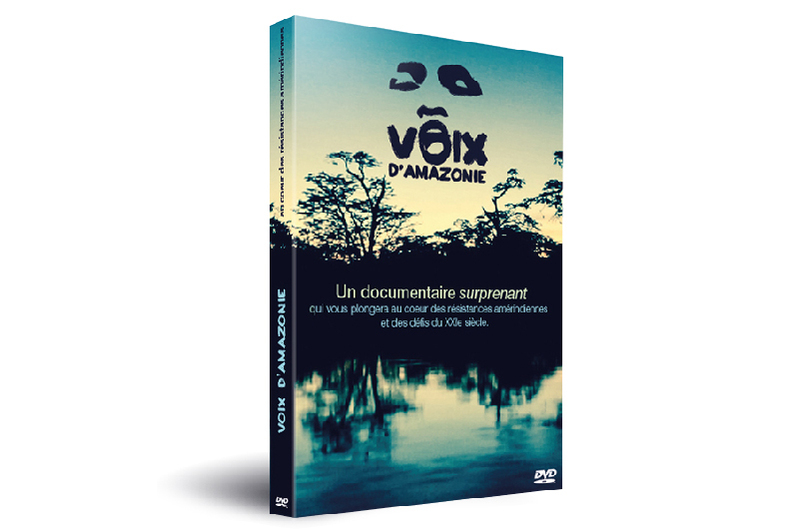 +The DVD version of the film in HD + A limited edition postcard + 2 Stickers with a personal thank you + A traditional A'i Kofan jewelry + 5 HD photos with a personal thank you sent by email + A big THANK YOU on the Facebook page and on our Website! Become an OFFICIAL BENEFACTOR of the documentary! + Your name in the film credits as a BENEFACTOR + A Skype meeting with one of the directors + An invitation to the pre-screening of the film (in Paris, Montreal, Quito, London or Casablanca) +The DVD version of the film in HD + A personally signed photo book + The poster of the film + A limited edition postcard + 2 Stickers with a personal thank you+ A big THANK YOU on the Facebook page and on our Website! You receive everything!!! Your name in the film credits as a BENEFACTOR + A Skype meeting with one of the directors + An invitation to the pre-screening of the film (in Paris, Montreal, Quito, London or Casablanca) + 5 DVDs of the film in HD A personally signed photo book A personally signed poster of the film + A limited edition photo in large print (of your choice)+ A traditional A'i Kofan jewelry + 5 limited edition postcards + 5 HD photos with a personal thank you sent by email + 5 stickers with a personnal thank you + A big THANK YOU on ou Facebook page and on our Website!